The KM-1000 was especially developed for the measuring of the dielectric constants of liquids at sewage examinations. 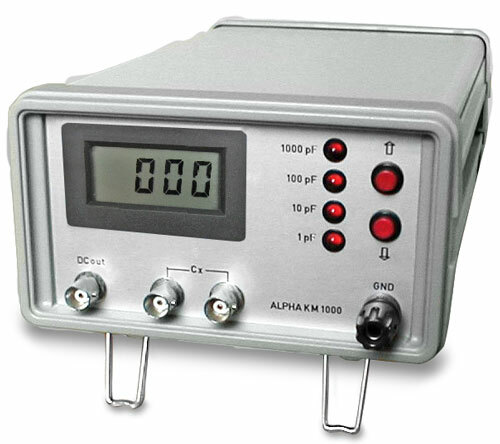 The device is able to measure smallest capacity values or capacity changes with high precision. For example a 5 cm long parallel wire sensor can serve as sensor, wich is connected to the meter by two coaxial cables of up to 8 m of length. The measurement result is almost undelayedly available. Therefore observation and the automatic regulation of dynamic processes are possible.